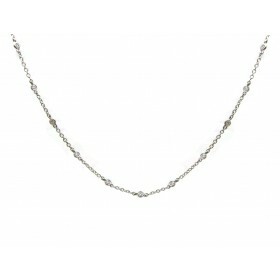 This fantastic lariat style necklace features 19 bezel-set round brilliant diamonds. This piece is great for layering or on its own. Highly fashionable, this necklace is sure grab attention.